Do you prefer food grown without herbicides and pesticides? If you are reading this, chances are you do. Have you also considered your chemical exposure through skin care products? Maybe you should. Chemicals are readily absorbed through the skin; in fact many medicines are administered this way. If you are looking for natural bodycare products, look no further than the College Hill Farm Market. 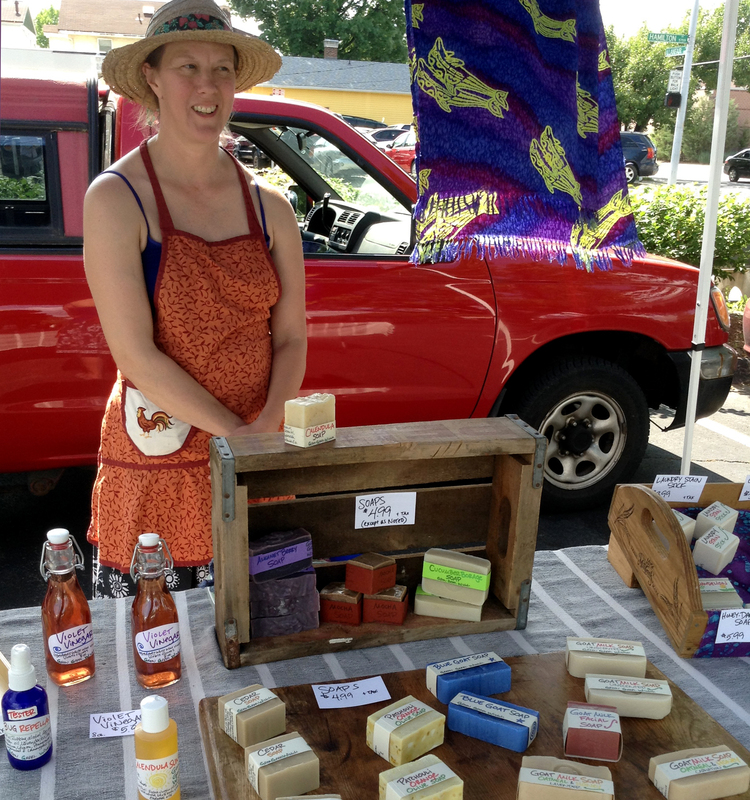 Green Grrrl Wisdom is here every week with items ranging from soaps and lotions to sunscreen and bug repellent. Everything is locally sourced and organic whenever possible. The College Hill Literacy Team will lead story time at this week’s Market from 3:30 – 4:30. They’ll be reading books and providing a snack for all participants. In addition, each child will leave with a book of their very own! Dan Erdman returns to the farm market and will entertain us with his music starting at 5:00. Dan’s audiences connect to the joy and creativity of his music. Some songs are simply fun, while others are thought provoking and inspirational. Dan creates music in many genres: folk, rock, jazz, country, and songs for children. And don’t forget the food! Locally grown fruits, veggies, locally produced breads, jams, salsas, meat, yogurt, cheese, bread, granola and much more. Each and every Thursday afternoon from 3:00 – 6:30 pm in the parking lot of the College Hill Presbyterian Church at the corner of Hamilton and Llanfair. This entry was posted in News, Uncategorized and tagged Aunt Flora, Back Acres Farm, College Hill, College Hill Farm Market, College Hill Presbyterian Church, CSA, farmers' market, Grandola Granola, Green Grrrl Wisdom, literacy, Llanfair Retirement Community, local farm, local food, natural body care, natural bug repellent, natural skin care, natural sunscreen, North Oaks Farm, organic body care, organic skin care, Our Harvest, Produce Perks, Twin Towers by College Hill Farm Market. Bookmark the permalink.